Hello. As a blogger, cyclist, wrencher, and a few other titles that reflect my interests, sometimes I worry that my blog posts stray over a variety of topics, and that I have “buried the lead”. Burying the lead is a classic journalistic “mistake” that, for me, is hard to avoid. Possibly this is because I love a good mystery, and like the idea of being strung along while that facts and intrigue unfold. Or, possibly, I am just a bad writer. 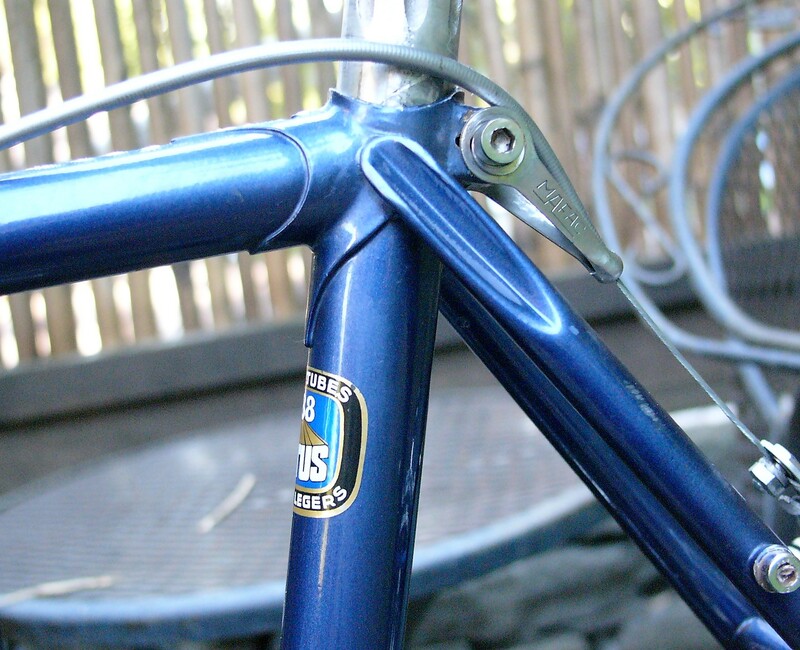 I have been musing over how to discuss the latest bike in my restoration queue – a beautiful blue 1980 Méral. Is this discussion about Méral bicycles? Or is it about 650b conversions? 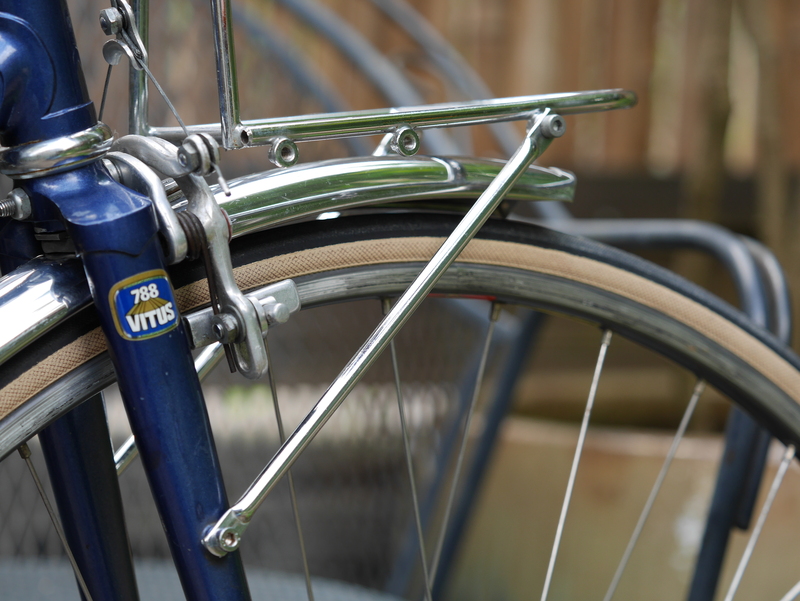 Or Vitus 788 tubing? Maybe it’s also about seat post lug details, unusual components, frame geometry, and bottom bracket height. So, now that I have buried the lead, let me get into the dilemmas and intrigue involving this 1980 Méral Randonneuse that I recently acquired, having been shipped from France and looking no worse for the wear. Why is this bike not a Randonneur? Well, the French have a rule that bicycles are feminine, regardless of shape or size – and so all randonneuring bikes in France are called by their proper feminine adjective. So, maybe this post is also about the strange gender assumptions and biases that bog down the cycling industry. My 1980 custom Méral is shown above in the foreground. Behind it sits its recently acquired sibling, also purportedly a 1980 model, though not custom, and obviously much BIGGER. 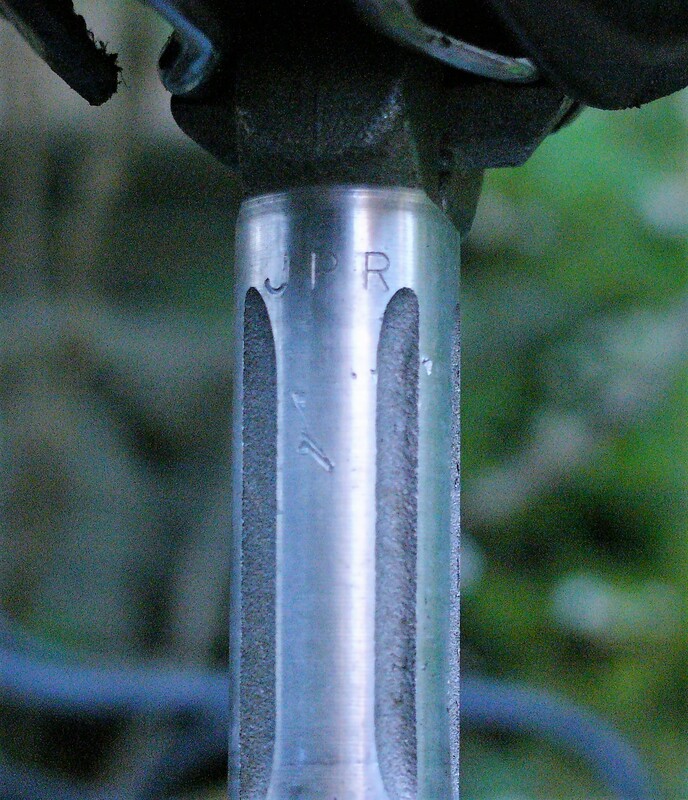 The larger Méral came to me as a complete bike, and has offered some new experiences: a rare J.P. Routens seatpost with slanted clamp, Vitus 788 tubing, a Belleri stem and bars with decaleur clamp bolt, among other nice components including Campagnolo hubs and a drilled Stronglight triple crankset. 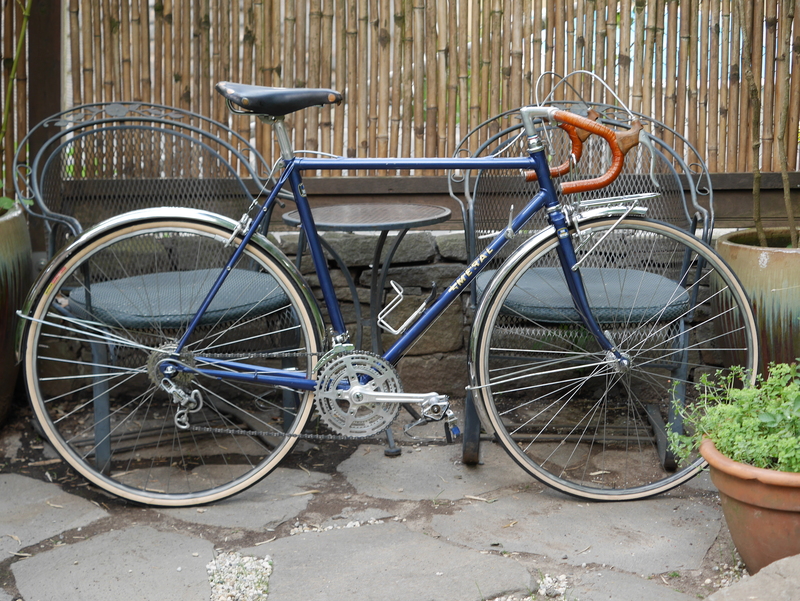 This really is a lovely bicycle, and far outside the norm of production bikes of this era. As pictured, it weighs a little over 24 lbs. 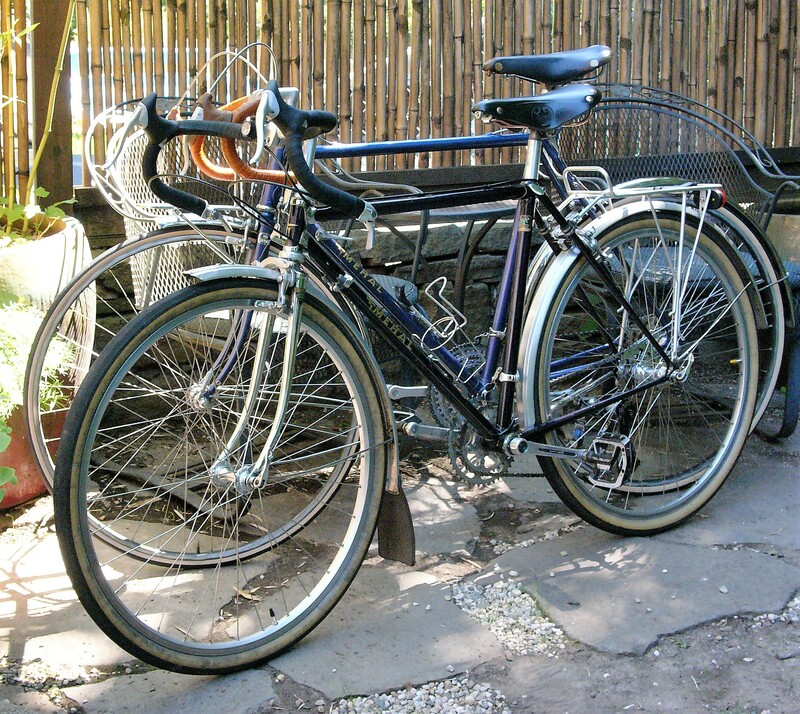 Considering the Brooks Professional saddle, the fenders, and front rack, that is impressive. 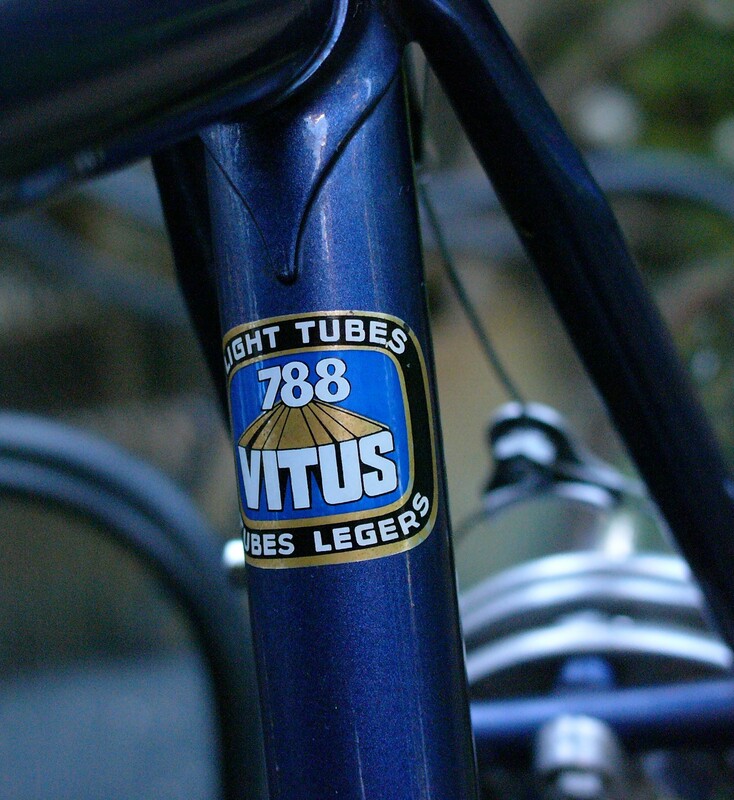 The tubing is Vitus 788, which by the 1980s was apparently a butted tubeset with a 7/10 top tube, and 8/10 down and seat tubes. 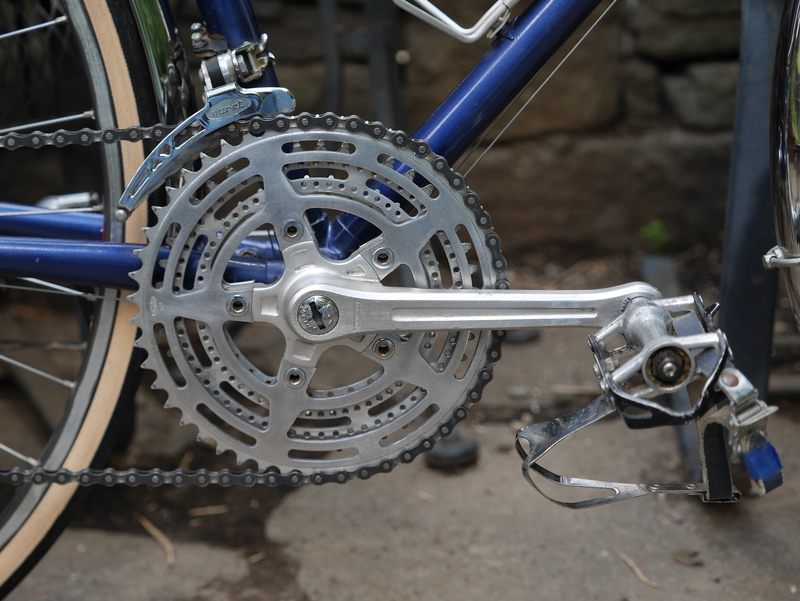 The bike has the classic mix of components from this era (long before the Gruppo days) – Huret derailluers, Simplex downtube shifters, Stronglight drilled triple crankset, Campagnolo hubs laced to Mavic 700c rims, Mafac Racer centerpulls and Universal levers with gum hoods. 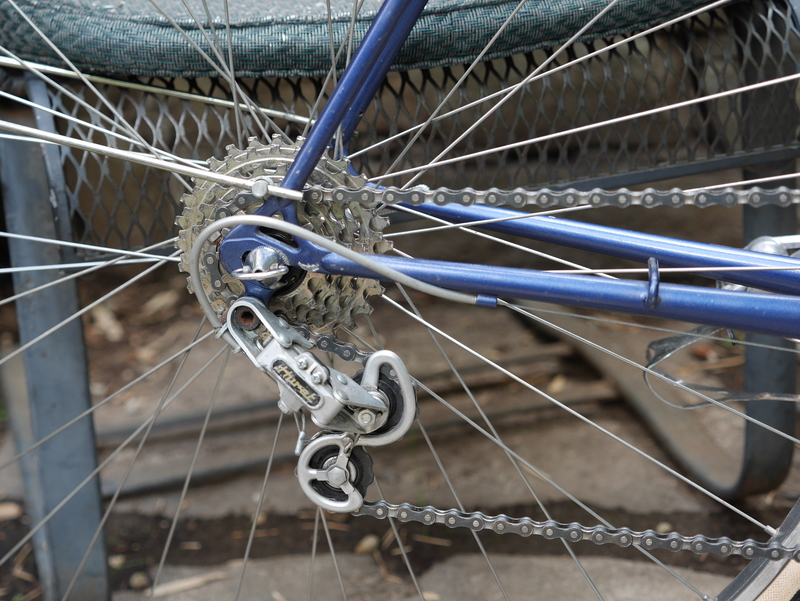 This bike was designed for tight clearances around a 700c wheelset. The bike is equipped with 23mm Michelin’s. 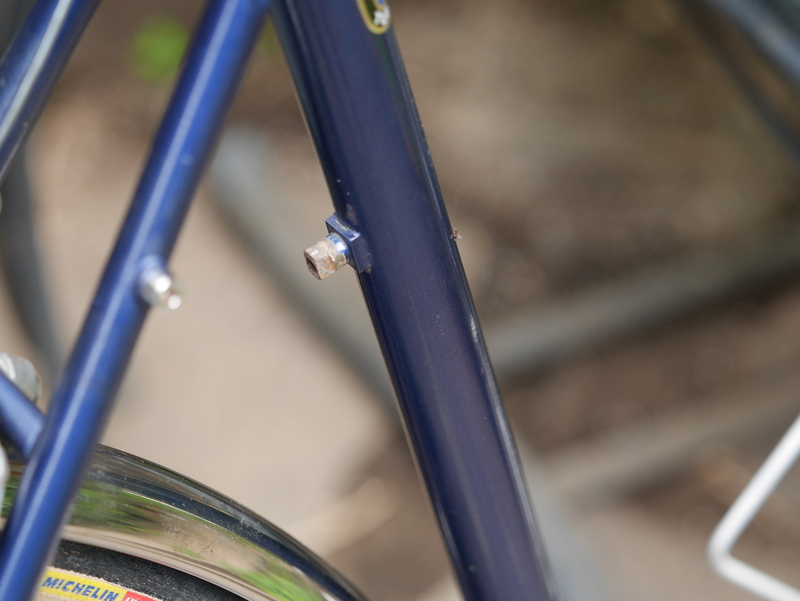 The very pretty custom steel fenders provide for a small bit of clearance for a larger diameter tire – possibly 25 mm. 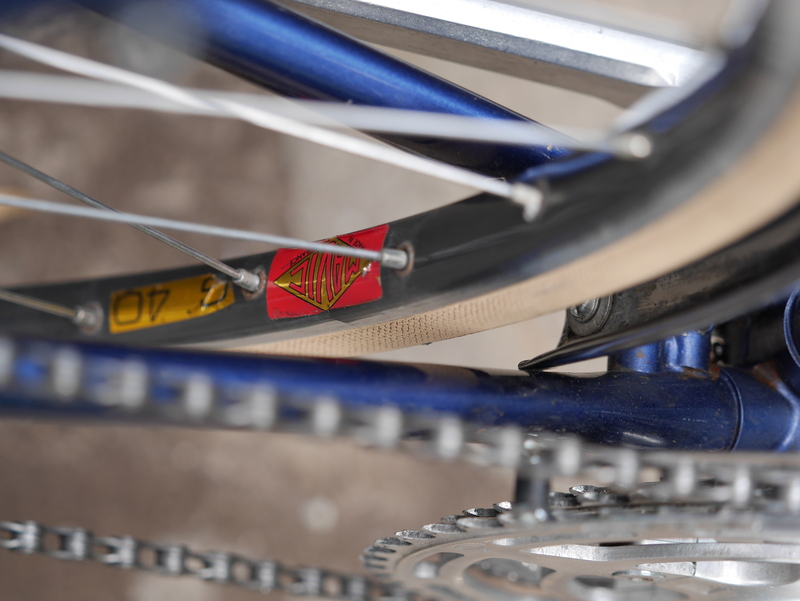 While certainly not every 700c bike from this era is a candidate for a 650b conversion, I wondered whether this bike might have the right frame geometry and clearances so that it could be enjoyed with wider and more comfortable tires. 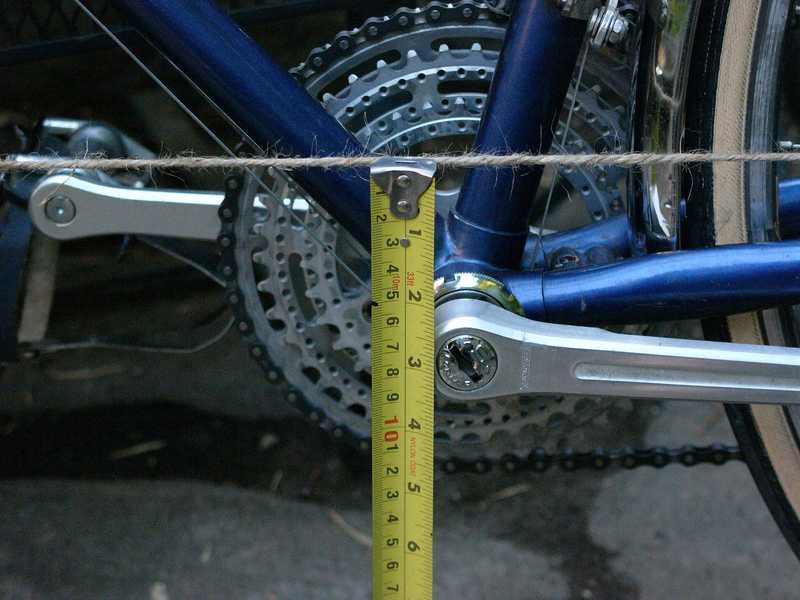 The bottom bracket drop for this bike is quite significant – almost 80 mm. That’s quite a bit more than I would normally think as ideal (I recommend under 70 mm) for a candidate frame for a 650b conversion. 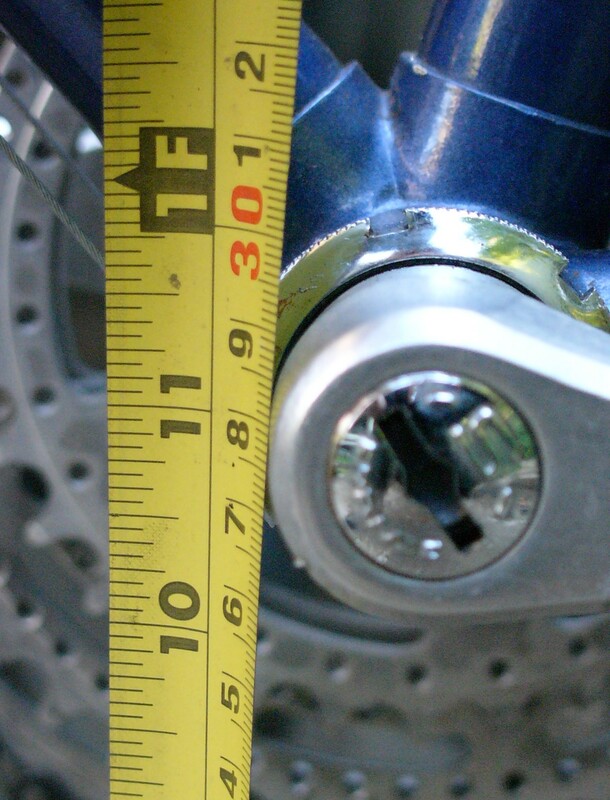 The BB height with 23cm 700c tires is almost 28 inches. So even with the big BB drop, the BB height will not be a concern when converting this bike to 650b, if that is what I decide to do. 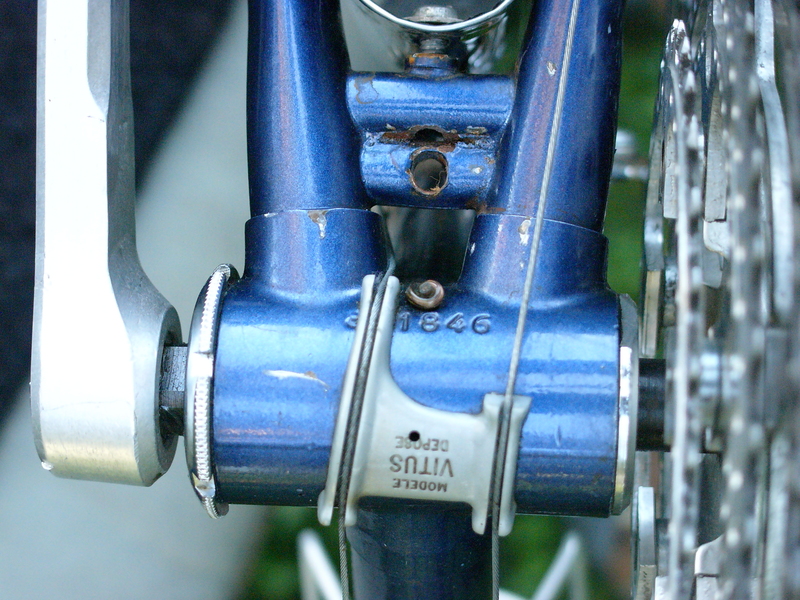 This Méral has an extra chainstay bridge at the bottom bracket. I believe this was intended to allow mounting of a bottom bracket dynamo. 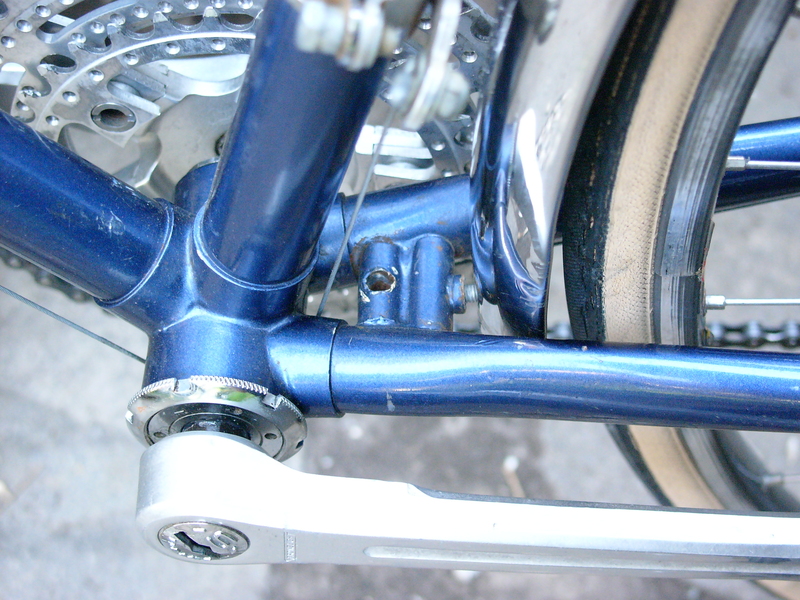 The fenders have dynamo wiring installed, which routes through the frame. 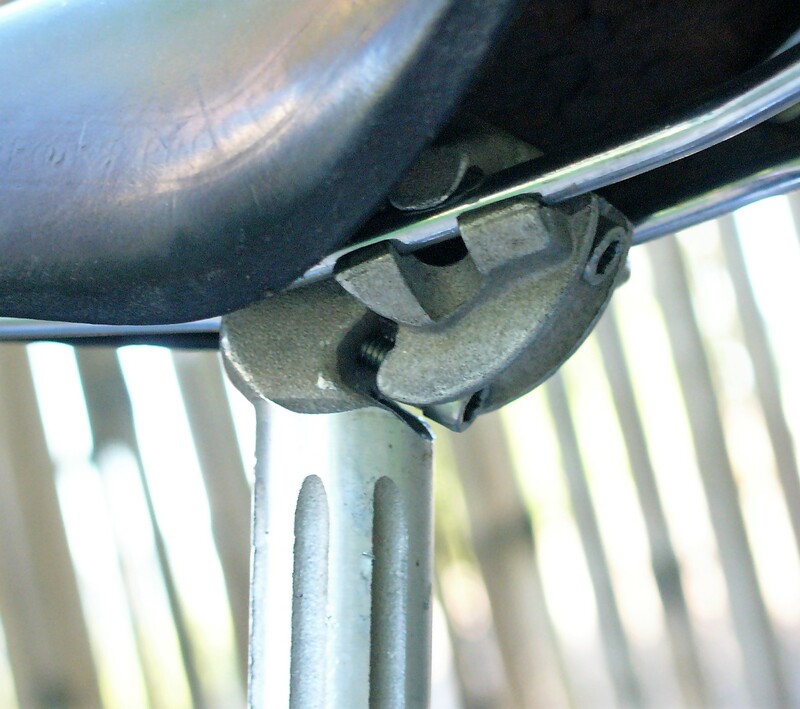 The seat tube features a braze-on for a shifter which would have been used to engage the BB dynamo. The frame also features rack braze-ons, front and rear, so the Méral’s custom camping racks could be added. So, while this post was about many different topics, one take away is that Méral bicycles were an interesting offering. 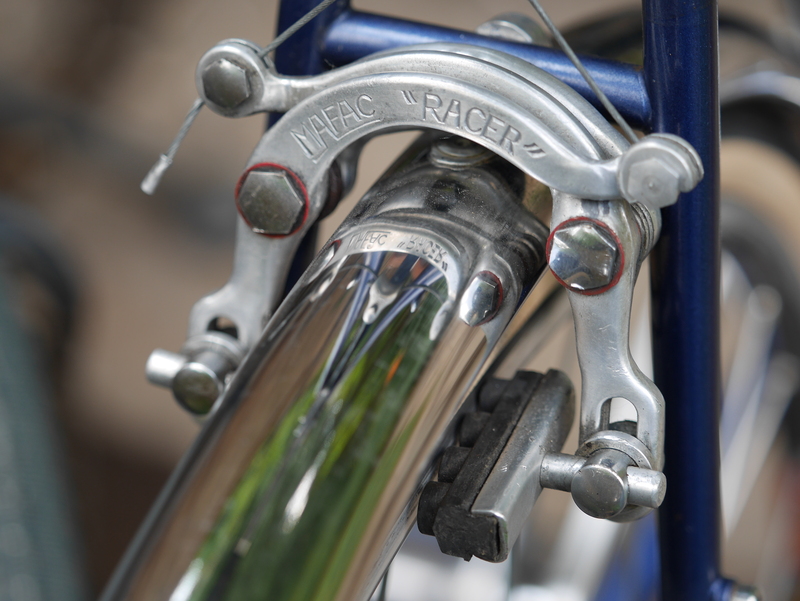 The company built bikes from 1974 to 1983, and after that Francis Quillon, master builder, continued his frame building acumen with his own company, Cyfac, which continues to this day. 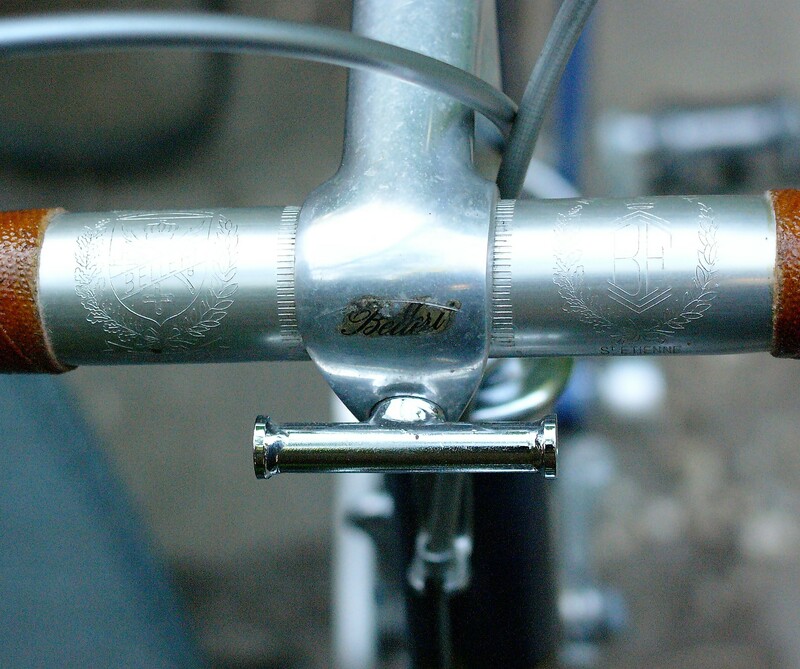 This entry was posted in 650B, 650b conversion, Bicycle restoration, Meral, Randonneur, Vintage French Bicycle and tagged BB dynamo, Belleri stem, Brooks saddle, Meral bicycle, randonneur, randonneuse, Titus 788, Vitus tubing by Nola Wilken. Bookmark the permalink. Stray all you like. Your posts are always fancinating. 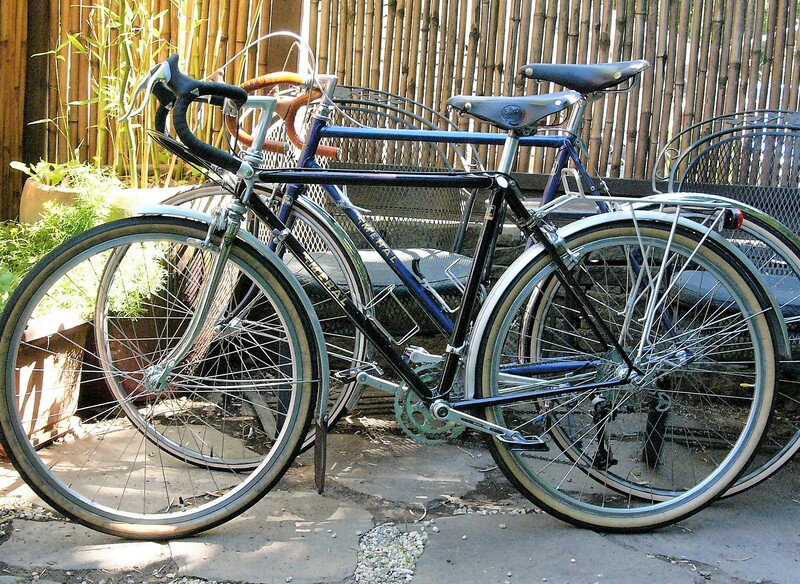 One of my bicycling regrets was not keeping my 1960s pre bicycling boom Peugeot. It was my first non-Schwinn 10 speed. Reading about your French acquisitions always make me nostalgic for my white lion. At least I still have its complete MAFAC toolkit. Hi Michael, it is interesting how many things that seemed routine back in the day are now extraordinary by comparison. Glad you have the Mafac toolkit. A lovely bike in great condition. I think there’s a place for non-hub dynamos somewhere in this world…but my own tastes lean toward battery powered lights, using rechargeable batteries.